Ushering in the beginning of 2017, FX has produced a new show, “Taboo.” The series stars Tom Hardy, an actor familiar to the big screen for roles, such as Bane in “The Dark Knight Rises,” “Mad Max” and more. 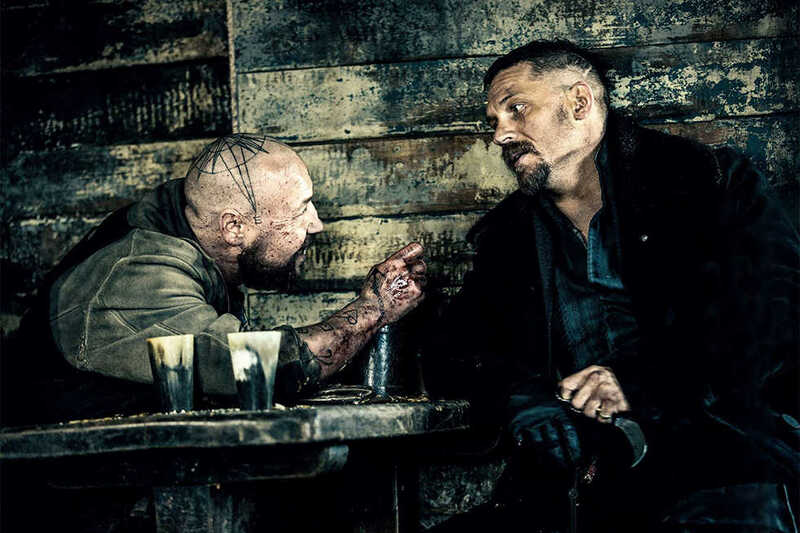 Tom Hardy is the main appeal that has brought this show its immediate success. After the release of just two episodes, “Taboo” has been confirmed for a second season on the now highly distinguished television network FX. The show opens with ten minutes completely devoid of dialogue. This entrance is commonplace for an actor like Tom Hardy. He easily fits the role of a quiet, intimidating man with hunkering stature. Hardy is a grave digger and is characterized as a type of antihero. For those who have scoured Netflix end to end for darker, high-quality TV shows, “Taboo” fits the bill. Set in 1814 London, the show utilizes a setting uncommon to avid viewers of FX. However, the plot and execution of direction can be compared to Netflix’s “Peaky Blinders” or AMC’s “Breaking Bad.” The setting is painfully accurate, and as episode one progresses, “Taboo” creates a sort of mysterious feel for the viewer. The first episode is hard to follow, however, as the season continues, the pieces of the puzzle seem to fall into place. The complication of the script’s moving parts leads to an eventual payoff, so viewers will likely become hooked on the new show. In terms of performance, the show has movie-level quality that can be attributed to Hardy’s presence on screen. His deep voice and frightening demeanor are reason enough to view the performance. The story begins with James Delaney (Hardy) hurriedly stashing something in the ground of heavy-fog London. gain further significance, especially if the siblings’ story is further developed. Rumors begin to float around about Delaney, and words about his insanity and acts of horror help the viewer develop an understanding of exactly what he is: clinically insane. After refusing to sell the land to his father’s lawyer, Delaney soon makes it apparent to the people of London that he is here to play no games– his threatening gait itself shows the public that he is a man to be reckoned with. The complete production of the show is breathtaking: the attention to detail, costumes and dialogue are accurate for the time period. “Taboo” differentiates itself with a fresh take on the antihero. Tom Hardy’s spooky nature adds dimension to his character. The pilot presents more than a couple loose ends that will most likely be later resolved as the nail-biting, contemplative series continues on Tuesdays at 10 p.m.